Our aim is to train and educate our active patrolling members to the highest standard, providing opportunities for skills based development to effectively patrol Soldiers Beach. The education and training team at Soldiers Beach provides opportunities for members to constantly add new skills and increased capabilities for patrolling the beach. 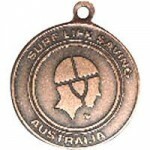 To become a surf lifesaver you will need to join Soldiers Beach Surf Life Saving Club. You will then need to obtain your Bronze Medallion or Surf Rescue Certificate (SRC) training qualification. 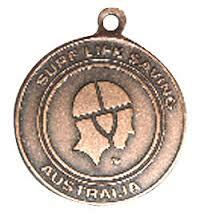 The Bronze Medallion is the minimum requirement for an active surf lifesaver. To obtain this award, you must be over the age of 15 and demonstrate proficiency in surf awareness, survival, patrol and rescue procedures, emergency care plus, anatomy and physiology. Before commencing training for the Bronze Medallion, you will be required to complete a 400-metre swim in nine minutes or less, in a swimming pool of no less than 25m or, over a measured open water course. Once this has been completed, qualified instructors provided by the club will train you to the level of a proficient surf lifesaver. The Bronze Medallion provides you with the skills and knowledge to be an effective member of a patrol team. 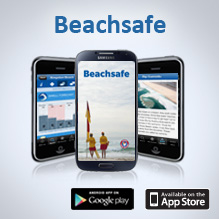 If you are less than 15 years of age, you can obtain a Surf Rescue Certificate. Probationary surf lifesavers can achieve this award from the age of 13. The award trains candidates in rescue skills, first aid and patient management, resuscitation plus, a theoretical component exploring safety knowledge and surf awareness. As a pre-requisite candidates must complete a 200m pool swim in five (5) minutes or less. If you are looking for a way to entertain the younger ones during the summer season then enrol them in our Nippers program. As an active, Patrol member are you interested in completing more awards and becoming better qualified? This Awards Qualifications Chart (Covers all awards from Junior Awards (Surf Survival, Surf Rescue, Radio Operators) to Public Safety (Bronze, Silver and Gold Medallions) First Aid, Training and Powercraft Awards. Please refer to the clubs’ online resources and/or the SLSA Member Portal for additional Awards information, updates, e-learning course content and resources. Information on our 2018-19 season courses can be found on the clubs event calendar schedule and in the Members Portal. 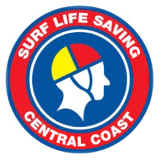 SLS training courses are run by Soldiers Beach and also by Surf Life Saving Central Coast. The club may cover the cost of these courses for active members (with the exception of Senior First Aid courses). Any member (or friends of members) who would like to complete their BM or SRC Award, or any of the courses above, please contact the club’s Surf Education Team for more information and to enrol. For Club Patrol members, Proficiency (re-qualification) dates for Bronze, SRC, IRB, ARC, Spinal and Defib awards will be in the events calendar when finalised.